TUCSON, AZ--(Marketwire - March 10, 2011) - Texas Children's Hospital and SynCardia Systems, Inc. announced today that Texas Children's has become the world's first pediatric hospital to complete the first phase of certification to implant the SynCardia temporary Total Artificial Heart. The hospital intends to use the Total Artificial Heart as a bridge to transplant for their patients who received a heart transplant as children and now require mechanical support as a bridge to their second transplant. The 15-member training team, which included cardiologists, critical care intensivists, anesthesiologists, nursing specialists and hematologists, was led by Dr. David L.S. 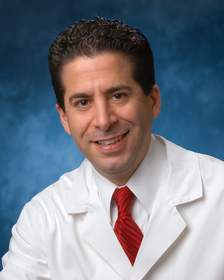 Morales, pediatric cardiovascular surgeon and director of mechanical circulation support at Texas Children's Hospital. This first-phase of certification prepares the team for future implantation of the SynCardia temporary Total Artificial Heart into patients who meet specific body-size qualifications. Similar to a heart transplant, the Total Artificial Heart replaces both failing ventricles and the four cardiac valves. Once implanted, the device pumps up to 9.5 liters per minute through both ventricles to provide increased blood flow to vital organs such as the brain, kidneys and liver. Unlike a donor heart, the Total Artificial Heart is instantly available before the patient's organs begin to fail and doesn't require expensive, anti-rejection medication, which can cause subsequent complications. "Over the past few years as a transplant surgeon at Texas Children's Hospital, I have witnessed several patients who needed a second transplantation, but died before a donor heart became available," said Dr. Morales. "Those patients would have been excellent candidates for an immediately-available heart. The Total Artificial Heart is the only device that allows us to remove the failing donor heart completely and bridge patients to a second transplant without immunosuppressive therapy." Of the more than 20 patients currently listed for a heart transplant at Texas Children's, over 20 percent are waiting for their second donor heart. Since its inception in 1984, Texas Children's heart transplantation program has grown into one of the largest and most successful of its kind in the nation, having transplanted 248 pediatric patients. Texas Children's Hospital is committed to a community of healthy children by providing the finest pediatric patient care, education and research. Renowned worldwide for its expertise and breakthrough developments in clinical care and research, Texas Children's is nationally ranked in all ten subspecialties in U.S. News & World Report's list of America's Best Children's Hospitals. Texas Children's also operates the nation's largest primary pediatric care network, with more than 40 offices throughout the greater Houston community. Texas Children's has embarked on a $1.5 billion expansion, Vision 2010, which includes the Jan and Dan Duncan Neurological Research Institute, a comprehensive obstetrics facility focusing on high-risk births and a community hospital in suburban West Houston. For more information on Texas Children's Hospital, go to www.texaschildrens.org. Get the latest news from Texas Children's Hospital by visiting the online newsroom and on Twitter at twitter.com/texaschildrens. SynCardia Systems, Inc. is the Tucson-based manufacturer of the world's only FDA, Health Canada and CE approved Total Artificial Heart: the SynCardia temporary Total Artificial Heart. There have been more than 900 implants of the Total Artificial Heart, accounting for more than 210 patient years of life on the device. Originally used as a permanent replacement heart, the Total Artificial Heart is currently approved as a bridge to human heart transplant for people dying from end-stage biventricular failure. The Total Artificial Heart is the only device that provides immediate, safe blood flow of up to 9.5 L/min through both ventricles.